If you believe that as a UK citizen you have access to (even priority over) all new UK coins, THINK AGAIN. It seems that’s no longer the case. We’ve recently uncovered two UK issues that appear to have never been released to British collectors. The first is a special Platinum version of the Lord Kitchener £2 Coin. UK collectors were treated to base metal, silver and gold versions of the coin last year, but never a Platinum coin. Yet, a couple of months ago, we heard information that US Collectors had access to a Platinum version – apparently released exclusively for a Royal Mint Distributor in the USA. But that’s not the only example. 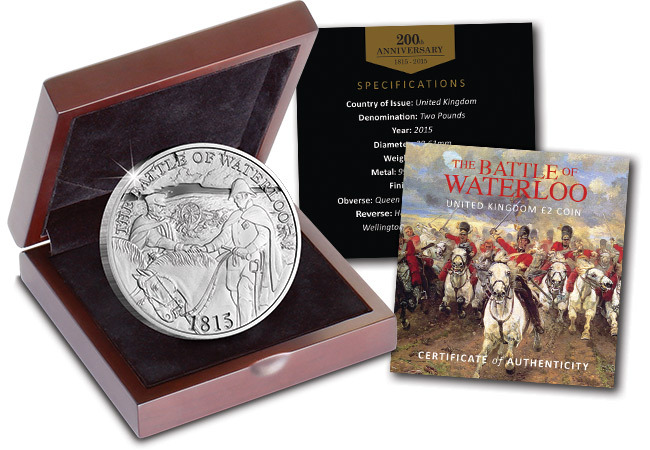 If you buy a 3 coin silver set from the Dutch Mint, you can own a special version of Battle of Waterloo Silver Proof Coin – seemingly never listed nor offered by the Royal Mint. What’s more, the “secret” coin, reserved for the European market, WEIGHS MORE, has PURER SILVER and has a LOWER EDITION LIMIT than the version for British collectors. In short, it is superior in all three elements that create value for the collector. These are just two examples, but are there more collecting gems hidden in international markets still to be discovered? Well I think the answer is probably “Yes”. We have, for example, come across a Royal Proclamation published on 20 February detailing a 1½ ounce silver £2 coin featuring “three Lions passant guardant, being that quartering of Our Royal Arms know heraldically as England”. Now that’s certainly not a coin we have seen in the UK. The best is heading abroad. Put simply, some of the UK’s most collectable coins are heading abroad. These are coins that will always have an interesting story behind them. The sort of thing that coin catalogues notice and future collectors love. As soon as we heard rumours of the Battle of Waterloo 1 Ounce Silver Proof Coin, we made enquiries amongst the European coin trade to see whether we could secure some for UK collectors. I know, it’s very frustrating!